What better way to jump into Spring than an amazing 50% off everything sale at J.Crew Factory. 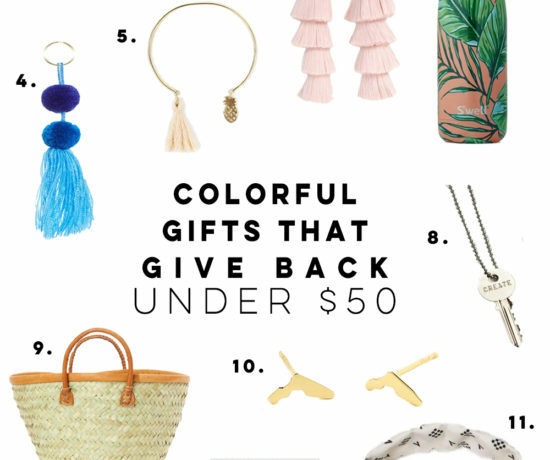 There are so so so many cute pieces for Spring and summer that I’ve had my eye on. 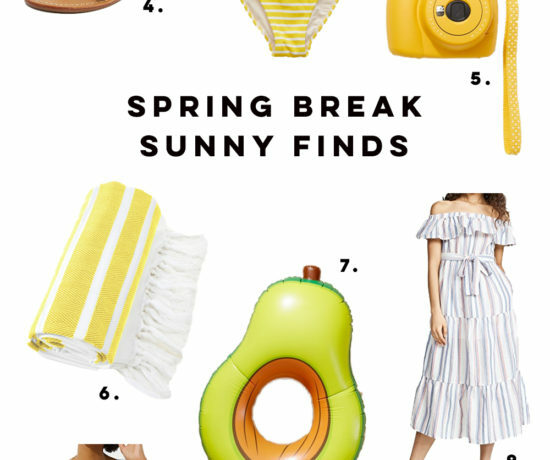 All of these pieces are perfect for warm-weather getaways too!!! Aka, what I wear all year long! Sale prices are as marked! Don’t forget to use code EXTRAEXTRA for an extra 20% off! 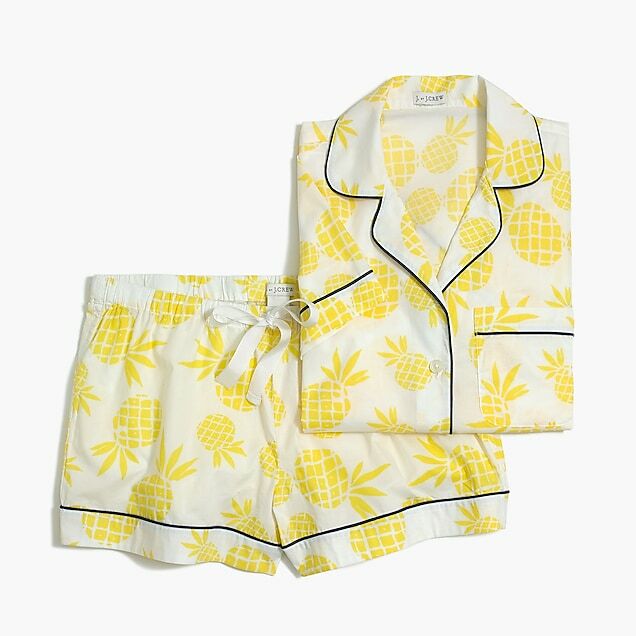 How adorable are these pineapple pajamas!? If it was appropriate to wear them out of the house, you would totally catch me riding bikes around town or grocery shopping in these PJ’s! 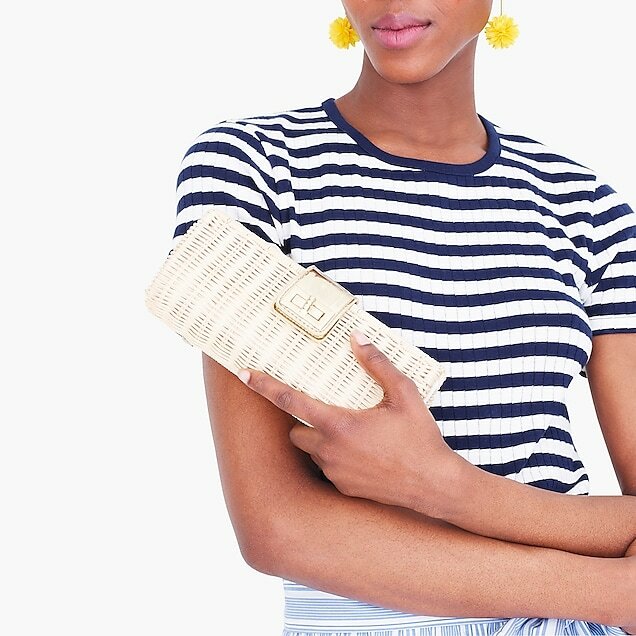 Ahh, this rattan clutch is my absolute favorite item of the sale! J.Crew made a super similar version last summer but it’s nice to have the option to buy it at a lower price point! At only $47.50, it’s the perfect accessory for all your spring and summer adventures! Yes, I do need another cute girly bikini in my closet! This entire suit is under $40 which is such an amazing price for a new swimmy! It also comes in navy/white. If there’s one item you need for spring and summer, it’s a white button up skirt. I wear my denim one all the time and really want to add this one to my summer wardrobe! White is so easy to style and it’s bound to keep you cool! I also like the a-line structure giving it a more feminine shape! These shorts come in 4 colors (pink, yellow, green and periwinkle). 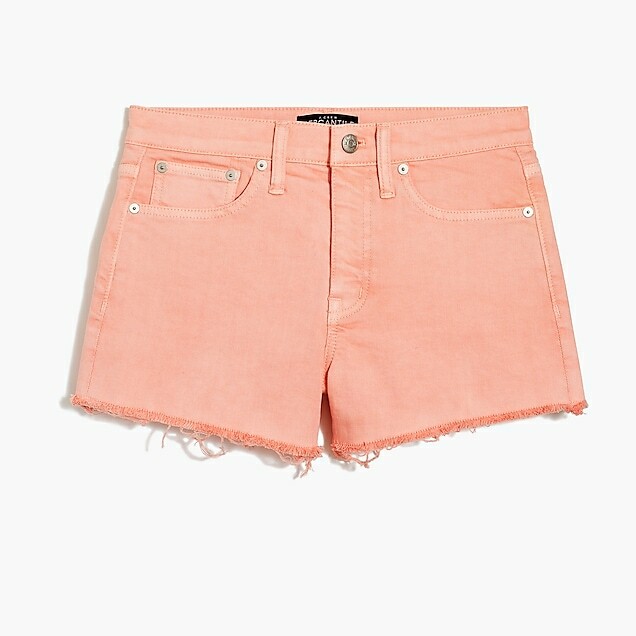 I am always in search of colored shorts to pair with neutral tops. My fav way to style shorts are with a simple ruffled sleeveless top and sandals! Cannot wait to wear my summer uniform of shorts everyday!